The play contains mature content and is not suitable for all audiences. There is no late seating in this venue. Secrets. We all have them. What happens when those secrets are wrenchingly revealed and everything boils to the surface? Octavio Solis’ beautiful play unfolds in 1970’s El Paso, Texas during the Vietnam War when the arrival of a mysterious outsider, Lydia, brings family secrets to light. This poetic and highly imaginative play about loss, forbidden love, the pain of memory and identity, and unfulfilled hopes and dreams poses the question: when secrets are exposed, can life ever be the same? *The play contains mature content, not suitable for all audiences. 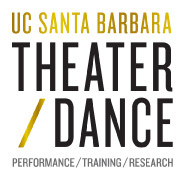 Irwin Appel (Director) is Professor of Theater and Director of the BFA Actor Training Program at UCSB. He is also a professional director, Equity actor and composer/sound designer, and has performed with Shakespeare Santa Cruz, Shakespeare Festival/LA, the New York, Oregon, Utah, and Colorado Shakespeare Festivals, The Acting Company, Theatre For a New Audience, Hartford Stage, Indiana Repertory Theatre, and other prominent regional theaters. Acting roles include: Prospero in The Tempest, Shylock in The Merchant of Venice, Bottom in A Midsummer Night's Dream, Falstaff in Merry Wives of Windsor, Dogberry in Much Ado About Nothing, Kent in King Lear, Macbeth in Kabuki Macbeth, Matt in Talley's Folly and the Emperor in a world premiere of Emperor's New Clothes. Since arriving in Santa Barbara, he played the title role in Richard III, Stage Manager in Our Town, DeVere in The Beard of Avon, Frank in Molly Sweeney, Duke Senior and Duke Frederick in As You Like It, and won Santa Barbara Independent Awards for his portrayals of Oscar Wilde in Gross Indecency: The Three Trials of Oscar Wilde and the title role in Theater Artists Group's Timon of Athens. Most recently, at the Colorado New Play Summit at the Denver Center of the Performing Arts, he played Aunt Chuck in Appoggiatura by James Still and directed by Department Chair Risa Brainin, a role he originally played in the LAUNCH PAD production at UCSB. He is also artistic director of Naked Shakes, producing award-winning Shakespearean productions at UCSB and traveling to downtown Santa Barbara and Los Angeles since 2006. Directing credits at many theaters include: Much Ado About Nothing, The Death of Kings (SB Indy Award, BroadwayWorld Award), Equivocation, Macbeth, A Streetcar Named Desire, The Merchant of Venice, Anowa, Hamlet (SB Indy Award), Measure for Measure, Romeo and Juliet, Rabbit Hole, Twelfth Night, The Winter's Tale (SB Indy Award), Seagull, The Tempest, Angels in America, Three Sisters, Comedy of Errors, Pentecost, A View from the Bridge (SB Indy Award), The Cherry Orchard, Speed-the-Plow, A Midsummer Night's Dream, The Crucible, The Countess, Madwoman of Chaillot, Sylvia, Much Ado About Nothing and the world premiere of Brown Baby (SB Indy Award for his sound design). He also directed twice for the National Theatre Conservatory at the Denver Center for the Performing Arts. He has also served as composer/sound designer for the Oregon and New Jersey Shakespeare Festivals, PCPA, Shakespeare Santa Cruz, Ensemble Theatre, Pan Asian Repertory, Indiana Repertory, and other regional and local theaters. Most recently, he served as composer/sound designer for a co-production of Other Desert Cities at Arizona Theatre Company and Indiana Repertory Theatre. He is a graduate of Princeton University and the Juilliard School. Octavio Solis is a playwright and director living in San Francisco. His works John Steinbeck’s The Pastures of Heaven, Ghosts of the River, Quixote, Lydia, June in a Box, Lethe, Marfa Lights, Gibraltar, The Ballad of Pancho and Lucy, The 7 Visions of Encarnación, Bethlehem, Dreamlandia, El Otro, Man of the Flesh, Prospect, El Paso Blue, Santos & Santos, and La Posada Mágica have been mounted at the California Shakespeare Theatre, Mark Taper Forum, Yale Repertory Theatre, the Oregon Shakespeare Festival, the Denver Center for the Performing Arts, the Dallas Theater Center, the Magic Theatre, Intersection for the Arts, South Coast Repertory Theatre, the San Diego Repertory Theatre, the San Jose Repertory Theatre, Shadowlight Productions, the Venture Theatre in Philadelphia, Latino Chicago Theatre Company, the New York Summer Play Festival, Teatro Vista in Chicago, El Teatro Campesino, the Undermain Theatre in Dallas, Thick Description, Campo Santo, the Imua Theatre Company in New York, and Cornerstone Theatre. His collaborative works include Cloudlands, with music/lyrics by Adam Gwon, Burning Dreams, cowritten with Julie Hebert and Gina Leishman and Shiner, written with Erik Ehn. Solis has received an NEA 1995-97 Playwriting Fellowship, the Roger L. Stevens award from the Kennedy Center, the Will Glickman Playwright Award, a production grant from the Kennedy Center Fund for New American Plays, the 1998 TCG/NEA Theatre Artists in Residence Grant, the 1998 McKnight Fellowship grant from the Playwrights Center in Minneapolis, and the National Latino Playwriting Award for 2003. He is the recipient of the 2000-2001 National Theatre Artists Residency Grant from TCG and the Pew Charitable Trust. He has also just been awarded a United States Artists Fellowship for 20012. Solis is a Thornton Wilder Fellow for the MacDowell Colony, New Dramatists alum and member of the Dramatists Guild. His new anthology, “The River Plays” has been published by NoPassPort Publishing. He is working on commissions for the Magic Theatre SF and Yale Repertory Theatre.